This week's blast of arctic air is only the first round of bitter cold air to hit the United States this month. 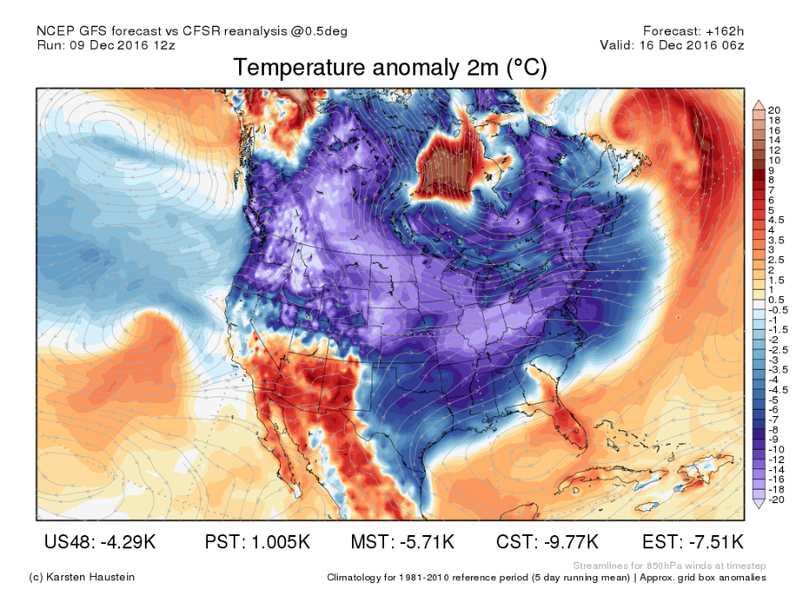 Next week, another round of cold air is set to invade the northern half of the country. This round of cold air will be just as cold, but it won't be quite as widespread as this week's cold air outbreak, which made its way to every state except one or two states in the Southwest. The coldest air is going to arrive in the Northern Rockies and Northern Plains on Monday and Tuesday next week. From there, the Midwest and the Northeast will begin to feel another exceptional chill on Wednesday and Thursday. By Thursday and Friday, everyone except Arizona, most of New Mexico and Florida will need an extra layer or two. Winter may be a little less than two weeks away, but it's clear the winter weather is already here.